A motto is a core value tersely and frequently expressed. It represents a fundamental belief that helps shape behavior as we try to live up to the message it expresses. This is Part I in a 3-part series. Click here for Part II and here for Part III. One of the most well-known corporate mottos is Nike’s “Just do it.” The power behind the motto is the way it reflects the nature of the product they sell. It is a symbol of action, of movement, of doing. It captures the essence of the company and reflects the core value it promotes. It has even taken on a life of its own, having been adopted by millions as a sort of personal anthem. That’s the power of a motto, fully ingested, passionately endorsed, harmoniously aligned and fully integrated. Millions upon millions of corporations, nations, cities and states, government agencies, non-profit organizations, clubs and events have created and adopted mottos as expressions of what they want to be and how they want to be seen, what they strive for and as a reflection of their core beliefs and values and as a way to infuse into the organization those values they want absorbed into the organizational climate. Each organization chooses the core values it wants to organize around, so the mottos vary widely. In other words, one motto does not fit all. “Think Different” ~ Apple Inc.
Having an organizational motto allows corporations and other organizations to instruct incoming recruits on what the corporate culture is all about, what drives them, what their organizational passion is. If done correctly and infused throughout all levels of the organization, it informs all decisions and drives future planning as well. It is, in other words, the heart and soul of the organization. This is the essence of what I do. It motivates me and keeps me up late at night writing and editing and thinking about ways to get what I have to say out into a larger world. It also tells a reader or someone clicking through for the first time what I’m all about. It conveys the spirit of Meant to be Happy at a glance. Tony Hsieh of Zappos.com (“We’re a service company that happens to sell shoes”) helped create a billion dollar company (acquired by Amazon.com in 2009) by focusing on creating a culture around its motto and its core values. He preaches the doctrine that by focusing on culture, everything else falls into place. If true of a company, why not a family or personally for yourself? Do you have a personal or family motto? Imagine if we all had our own motto that instructed and informed our own internal identity or family climate! What would yours be? Do you already have one? More than one? Just as corporate mottos can be infused into the culture of a business, so a family or personal motto can work its way into the very DNA of our personal lives and family culture as well. Mottos act in many ways like mini sermons, rallying support, instructing values, teaching shared vision, inspiring action. When the message is repeated over time (and lived up to), it can distill into the hearts minds of even the newest group and family members like tiny inoculations against the cynicism, habits, inertia, corruption and negativity of other less helpful cultures from previous companies, family conditions or communities. However, a motto is not usually sufficient in itself. It’s a tool to reinforce concepts and principles already being explicitly taught. Without that explicit instruction, our use of mottos becomes little more than the idiosyncratic expressions of a quirky parent. Minimally, they are less effective than they would otherwise be. But if they are used as little reminders of larger lessons taught, they can be powerful tools indeed. This is not my only life motto. But it is, perhaps, the one that most deeply conveys my thoughts and heart and my philosophy of life. In other words, you can be the horse driven by others who hold the reins to your life, or you can be the wagon master steering your own life in the direction you want it to go. The option is yours; the reality of the choice is not. We either steer or are steered. I’ve never done well with others telling me what I have to do and when to do it. I’m a deeply religious man, so God and religion is not what I’m talking about. But rules and regulations for the sake of rules and regulations, especially when they’re obviously divorced from common sense, simply drive me crazy. So when I came to realize that unless forfeited to others, I was in control of my emotions, my reactions, my attitude, the pursuit of my dreams and happiness, I enthusiastically picked up the reins and began steering. My life is organized around this principle. I am self-directed. I choose how I will respond to other people’s behavior and attitudes. I accept the idea that no one “makes” me happy or unhappy, that happiness is a byproduct of how I think, believe and live. My life motto, therefore, is a reflection of me. But it also inspires me to grow and strive to be increasingly true to that motto at the same time. I fall short of its principle, but I work toward its ideal. There is great power in the words of my life motto for me. It informs the way I look at the world, myself in the mirror, the role I play in my own life and in others’. So many people, it seems to me, act as though they were in the audience watching their lives unfold on stage, as if others were responsible for the unfolding. As a result, they become pawns on others’ game boards. They bounce when dribbled and roll when rolled. But that kind of passive or reactive living can’t produce the happiness a self-directed, self-responsible, motto-driven life can produce. The impact a motto can have on your life and the lives of those who are influenced by you, underscores the need to give thought to the mottos you make your own. Such a motto doesn’t inspire much. Mottos are helpful to the degree we truly make them the mottos of our lives. Repeating a phrase over and over again creates emotional and moral dissonance if we never live by the phrases we use. If our lives remain indefinitely out of whack with our words, we become caricatures, hypocrites who are no longer taken seriously. Our lives then become the excuse others use to discount what we say. Instead, let the words sink down inside, becoming part of the essence of who you are. Let your motto become expressions of your character. And let your character be informed by the words you use to express it. In other words, mottos can be powerful tools in your life to help you navigate your way through the clutter and noise out there in pop culture and elsewhere. They can also be powerful ways to communicate profound principles of human behavior to loved ones and others. And finally, they can be useful reminders to ourselves, even as we use them to instruct others, that life is indeed what we make of it, that we can fashion a life of our choosing based on the core values that inspire us. What is the motto of your life? What? You haven’t subscribed yet? Get my free eBook, A Walk through Happiness and subscribe for easy email updates and a twice-monthly newsletter by clicking here! To read the other articles in this 3-part series, follow the links here and here. This is interesting. I never thought about a personal motto before but, I do have a favorite quote that I love that embodies what I believe in. I heard it when I was a teenager and ever since I took it as, I guess, my own personal motto. To me it says that you must spread love, light and goodness to everyone you meet just as the sun spreads its warmth and light without judging who “deserves it” or not. Great post. You really made me think. Thank you! Hi Angela! Your favorite quote/motto fits you! You seem to me to personify it so well. But even more than the quote, I LOVE what it means to you: “that you must spread love, light and goodness to everyone you meet ….” What a wonderful way to live life, to be the source of love and decency in others’ lives! Thanks for your kind words too. I love that I was able to make you think. Stay open, stay with it; it works. Nice, Evan! So many people are closed to others’ opinions, to trying new things, to other beliefs and personalities and values. But we can learn so much from others if we’re open. Staying with something can be very difficult if we don’t see some kind of reward for very long. We start to lose confidence and doubt fills our thoughts. But staying with something, keeping at it, persevering, is such an important trait for us to develop. It saves businesses and marriages and the lives of children and even countries from time to time. Thanks for sharing Evan! Oh what fun! I loved the list of mottos. Luxembourg, well what can you say? Like you, I can think of several, but the one that seems foremost is “Make haste to be kind.” I will be back to see more comments and see what others choose! Luxembourg’s motto cracked me up when I first read it! Austria’s was pretty funny too. But what a difference the mottos make in developing a culture or national identity! I really like your motto, Galen! “Make haste to be kind” is such a noble thing to aim at. Thank you for all the haste you’ve made and all the kindness you’ve a shared with me and others. Thanks for sharing those mottos! My favorite motto is “Just Do It” …My personal motto is a Baha’i saying: “…let deeds not words be your adorning”. Living this motto causes me to pray that each action is made to the best of my ability given the information received and wisdom that I posses at that moment of time. Ajen recently posted … Jan-Mar 2012 Issue!!! What a beautiful motto, Ajen! I wish more people measured their actions against the wisdom they had at the moment. So many people seem to disengage the brain altogether at times when they say and do things that are self-defeating at best, hugely destructive to themselves or others at worst. Thank you for adding this insight! Hi Ken! I loved reading the mottos (mottoes?) here. I have several mottoes. (mottos?) More like a pledge. Kindness rules. Love makes the world go round. Never underestimate the power of your mind to change your destiny. And of course I have a huge poster that says “Just do it” what a powerful life-changing phrase! And my oft-repeated one “Happiness is a DIY project” Go on. Smile. It increases your face value. Ya know, my Mom was a school teacher for over four decades and I would hear affirming quotes all the time from her. I can’t help but refer to that beautiful speech by Polonius to his son, Laertes in “Hamlet” One of the most amazing pieces I’ve read in my life. Have a printed version on my wall at home, too. Hugs! Always so nice to visit here! Haha! Yeah, I looked up the plural of “motto” because I wasn’t sure of its spelling either, Vidya. The dictionary gave me both spellings and since “Mottos” (as opposed to “mottoes”) came first, I went with it! Kindness does rule and love does make the world go around. Our minds are absolutely amazing, aren’t they? Hugs back, Vidya! Loved your choices! Do you mean, “This above all, to thine ownself be true.” Vidya? Take each man’s censure, but reserve thy judgment. Are of a most select and generous chief in that. Farewell: my blessing season this in thee! Thanks Nea! It was fun to write, especially looking up the corporate, national and other mottos. Some interesting stuff out there guiding companies and nations and other organizations down some very different paths. I really like the two-word activity you have your clients participate in. What a brilliant thing to have them do. Even going through the process seems like it would be immensely helpful. “Ignite joy, inspire growth.” I really like it, Nea! I especially like the visual of igniting joy, of the fuse crackling and sizzling as it burns shorter and shorter until joy explodes onto the world around you! My motto is (and has been for years….) “Get up. Dust off. Move on.” It reminds me that being a victim is not an option and that all experiences are only opportunities to learn something about myself and others. This is a great motto, Kate! “Get up. Dust off. Move on” should be memorized by everyone by age 10 and practiced for the rest of their lives. Thank you so much for sharing it here! The effect seems similar to my “Life is what you make of it” motto. Once such a concept is internalized, victimhood goes out the window forever! Thanks so much for sharing, Kate. Nice, David! I’ve heard the first part many times. But I love the additional admonition to “think well.” It’s so true that we are the product of what and how we think. The better we learn to think, the better the product! For my life: If you change the way you look at things, the things you look at change. For my family: Love is all that matters. Betsy at Zen Mama recently posted … Albert Einstein: Not Just A Scientist! I really like each of your mottos! I also like that you have one for different parts of your life. That your family motto is “Love is all that matters” makes me think you have a very lucky family. I’ve always disliked the loose way the word “truth” is sometimes talked about when people refer to different people’s truths. You hear them talk of your truth and my truth and other people’s truths, all being equally true. And on some level it still sits awkwardly with me. But I have come to some peace with the phrase as I have come to realize that no matter what The Truth is about a thing, our perception of it, no matter how incomplete, inaccurate or down right wrong it may be, is still the only reality we know. It then shapes our thoughts and behavior around that subject. So your personal motto, “If you change the way you look at things, the things you look at change,” really struck home with me. “Be me.” What a cool motto to have, Noch. I also like your fiance’s. I have some of that “go with the flow” personality myself, but only to an extent. Still, I do tend to be a bit laid back. Thanks for sharing your mottos! Linda Hewett recently posted … Who Else Hates Being A People Pleaser And Wants To Stop? I love the Winters quote. So many of us sit around and wait for the things life is “supposed” to deliver at our doorstep. And we just keep waiting (and blaming) when it doesn’t come as expected. But to get up off our butts and take action is the key to creating the life we want to live. And often a lot more than we had expected possible. Gandhi is one of my moral heroes. Love that quote too! So many parents have ideas of who and what their children should be and become. This is simply a reflection of the parents and, sadly, has nothing to do with the children. We truly want each member of our family to be whoever and whatever they choose. As long as there is love, it really doesn’t matter. We simply want everyone to be happy. Because of this motto, we live a rather different lifestyle that works very well for us. We get flack from family for it every once in a while but we know that their opinions don’t matter. It’s what makes us happy and that’s all that matters. Paige | simple mindfulness recently posted … Head vs. Heart: Which Is Smarter? As a teacher, I see this a lot. So many parents impose their ideas of what success is and which college would most provide the family with a sense of honor. So much pressure is placed on kids to get accepted to a particular university, become a doctor or engineer, and make lots and lots of money. I’ve also seen so many of these kids stressed out of their minds and fearfully and secretly changing their majors to something they love doing instead of something their parents would love them to be. You see it with that awful show about beauty pageant moms (a show I’ve admittedly never seen, but have seen the commercials for). Bragging rights or living through their kids or whatever personal demons motivate such behavior and treatment of their children is no excuse for imposing such expectations on them and subjecting them to the traumas of that kind of life. With our daughter (and what we will do with our son as he grows up), we taught her those principles we believe are important. Then provided her with as many experiences as we could afford (travel, leadership, sports, music, dance, etc.) and let her gravitate to what she was most passionate about. It’s worked well. Very well. Thanks for coming by and sharing, Paige. I like to live by: “If one person can do it, so can you”. To me this means, something that is possible to do by one human being, means it is achievable by another. I find this useful to remember, if I’m getting stuck on any particular aspect of life. Although at the time, the problem may seem unique to me, the truth is others have probably experienced and overcome the same issue many, many times. I like your motto. It’s so easy to look at what we wish for and excuse our non-action by claiming there’s no way it could ever be done. It’s like the 4-minute mile. It was considered humanly impossible … until it was done. Now its standard. Once we believe something is possible, we work to make it happen. The mental barriers come down and impossibilities become very possible. Our thinking can then change to the realization that if one person can do it, two people can. And if two, why not me? Great motto, Hiten. Thanks for adding it here. Mottos can indeed focus our energy and give us great power. My motto for my website Han of Harmony is “Making the best choices in any situation.” This is my aim when it comes to helping anyone who seeks my help with any challenge they face in life. This is the essence of what I do and how I have chosen to make a difference in this world. My personal motto is “Heaven may ordain, but men must achieve.” It reminds me of what I must always do to reach my goals. At the same time, I must not be blind to my timing and circumstances. If need be, I may have to plan way ahead and persevere to get to where I want to be. That’s the key, Irving! It’s all about the daily choices we make. All those choices, sometimes seen as inconsequential, solidify into habit that gels into the circumstances we live in and react to. But we can be much more proactive in the choices we make to change our self-defeating habits of thought and the circumstances those habitual thought processes create and our reactions to them. Thanks for adding to the list of mottos! Great stuff! Mottos can truly lead us forward and be a source of inspiration. 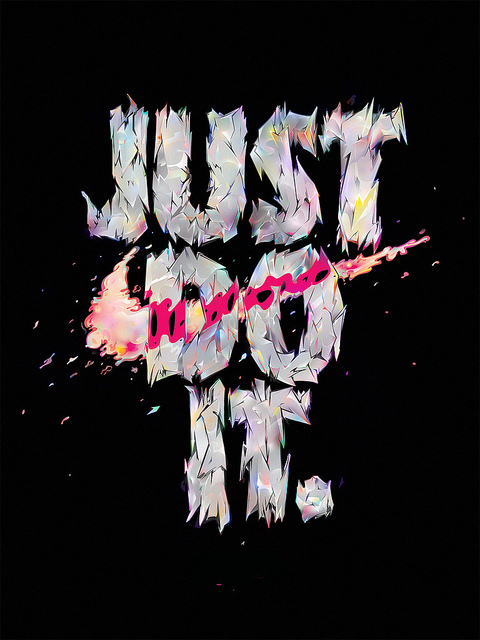 I have always loved the Nike motto – Just Do It. That fits my life right now, as I’ve made the change to write and just see where it takes me. which is a quote by George Eliot. It speaks to me about how we can all change our lives for the better. Thanks for the great post. “Just Do It” really has taken on a life of its own. It’s such a powerful phrase. Imagine what would be accomplished if everyone chose a course in life and then just went for it! I love the Eliot quote. You’re right. We can change at any time, no matter our age or how long we’ve gone without changing anything. That is such a comforting thought for those who now look back on a life they feel has been long wasted. I’m rooting for you as you write your way to the life you plan on living! Really great article, Ken. I particularly love that you said, “Let your motto become expressions of your character.” The idea of a personal motto is excellent. And then to actively work it is phenomenal. I’ll have to share this post on my Facebook. Thanks so much. You come to mind from time to time, Marianne. Just wanted to know. I hope you’re well. Love the personal motto idea! Mine is “Joyful & Grateful.” In all that I do, I try to have an attitude of graditude. As I go through my daily routine, I find myself chanting this as I deal with challenges, annoying people, situations that I do not want to deal with, etc. I try to remind myself that obstacles are just stepping stones to get to the next stretch of my life journey. Thank you for this post. I really enjoyed reading the mottos that you listed, as well as all the comments.